I like grumpy cat- I wanna hug it. 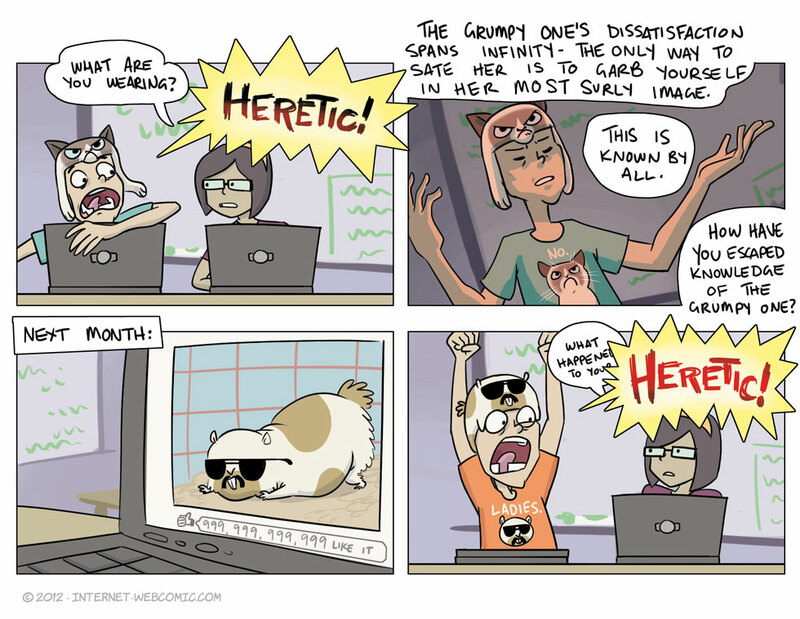 Oh- Welcome to the second year of Internet Webcomic! That’s right, I started doing this on December 17, 2011 so this makes one whole year of comics! I’m actually kind of surprised I was able to stick with it this long. What a crazy year. 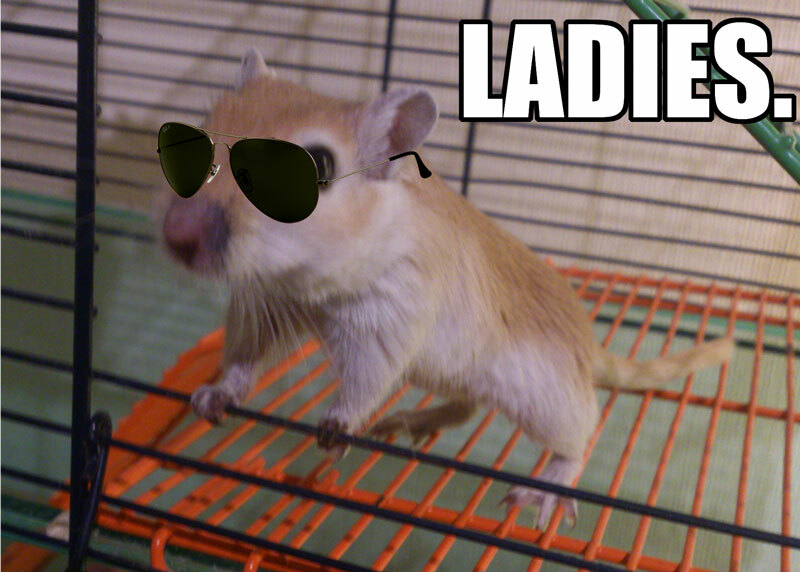 Hehe I’m looking forward for “Deal with it Gerbil” – next month’s meme! Awesome to see your comic change so much in the space of one year (now in colour, for one thing)! Looking forward to see what the next year has in store! Wait… How is there 999,999,999,999 likes if there are only 7,000,000,000 people on Earth? Would aliens make it better? Or time travellers voting this video up, because it’s the only way they can destroy an evil dictator who took over the world? Or the means of cats to control us human beings. Maybe…. maybe some of the multiple account holders are aliens. Buddy of mine just met der Grampy Catr the other day. Tartar Sauce (‘Tard) is an Arizona native, apparently, which is where my friend is having his holidays. Congrats on goin’ strong for a full year!